Graduates outside Olin Hall. See the alumni list for more photos. For the past ten years, Gustavus has been in the top 15 liberal-arts institutions nationally in production of the number of physics majors (currently 11th, source: annual AIP summary). 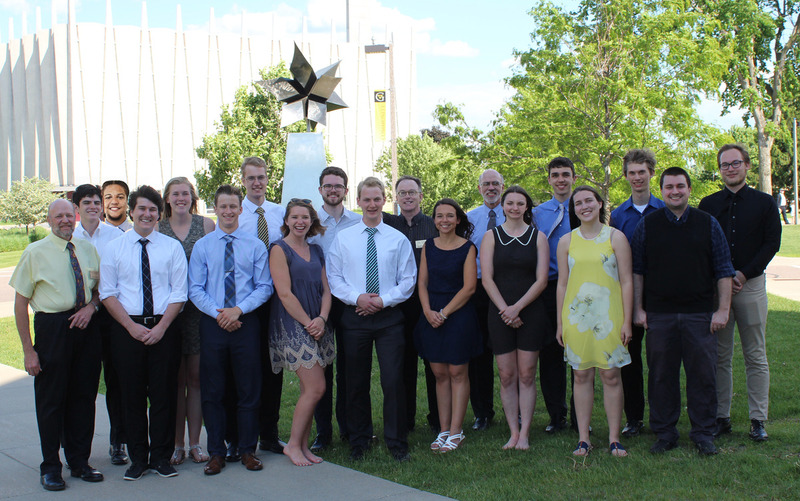 For the past ten years, Gustavus has been among the top 10 liberal-arts institutions nationally as the baccalaureate origin of physics PhDs (currently 5th, source: National Science Foundation WebCASPAR database). The physics program has had very good success in preparing our students for graduate study in physics and other fields. 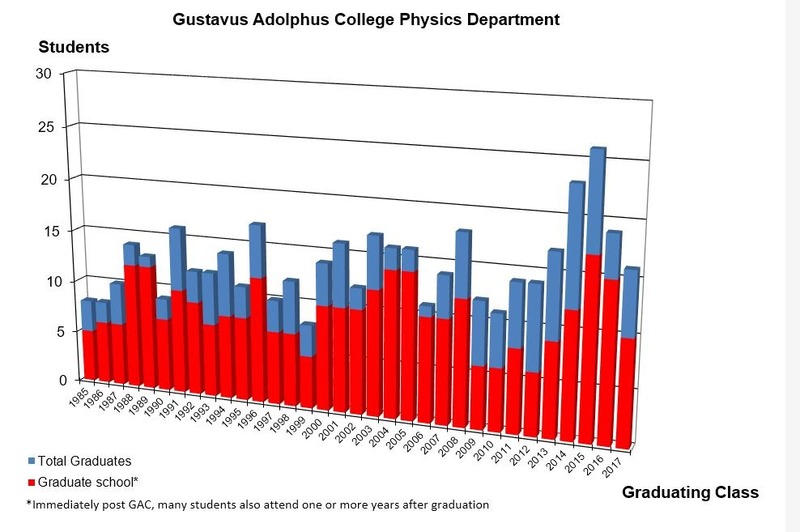 The figure below shows the number of students who received physics degrees from Gustavus in the past and the number of these students who continued directly (immediately after graduation) to graduate school. Nearly all of the students attending graduate school did so at no cost through graduate teaching or research assistant fellowships.